Founded in 2001, China Steel New Material is well-known as one of the top 10 steel structure brands in China. 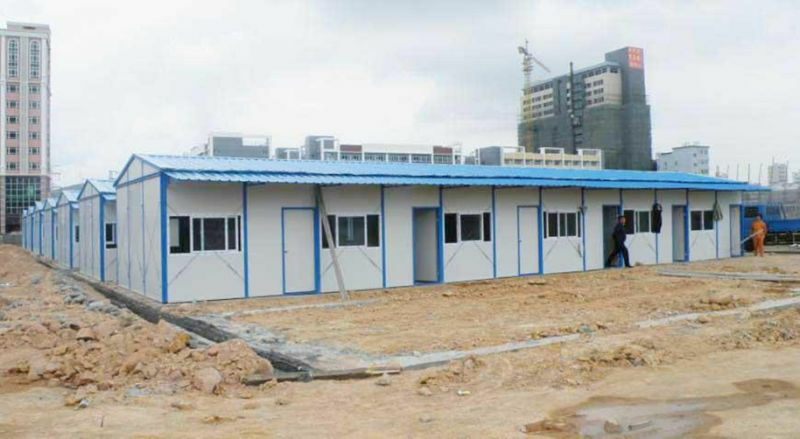 With the aid of advanced technology and equipment, our suppliers can offer you quality and stable antiseismatic fireproof steel structure prefabricated house at low price. Please be free to place an order, we will offer you the best service and timely delivery. framing and is 100% recyclable. 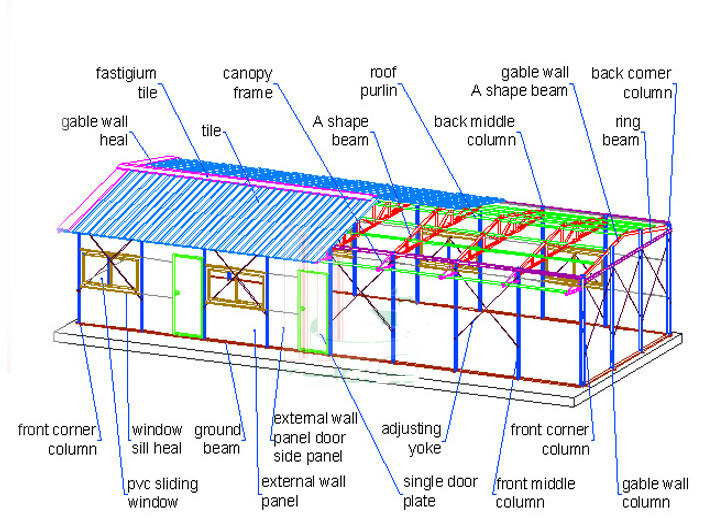 safety and environmental friendly advantages of steel frame prefab house. Base: Galvanized steel welded base frame. Walls & Roof: 75mm external and 50mm internal. Wall & Roof color: off-white & beige. Flooring: 15mm plywood & PVC covering. Windows: Aluminum frame with single glass sliding window. Door: Aluminum frame with sandwich panel. 5, other using temporary construction.